The world will be watching when the leaders of the United States and North Korea meet in Singapore on June 12. 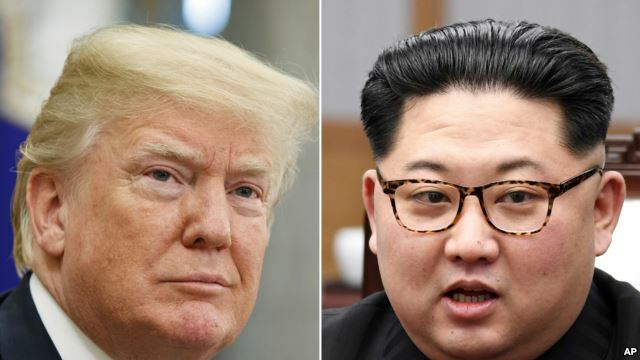 People are wondering whether U.S. President Donald Trump and North Korean leader Kim Jong Un can reach a nuclear agreement. 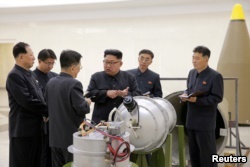 Some experts have attempted to estimate the amount of time and money needed to take apart North Korea’s nuclear weapons program. They estimate that the disarmament process could last up to 10 years and cost $20 billion. Trump has said he expects a “very positive result” from the Singapore summit. He said that the talks represent the beginning of a process that will take time. Arms experts are trying to imagine what that process will look like. Daryl Kimball is the head of the Arms Control Association in Washington. He said that much needs to be done by all the nations involved. “It is going to take sustained energy on the part of the United States, South Korea, Japan, China and North Korea. It’s going to be a multiyear-long process,” he said. United Nations resolutions designed to punish the North for its nuclear activities remain in effect. Those sanctions have severely limited much of North Korea's economic activity. The North’s government has suggested that it supports the idea of making concessions over time, with each side giving up something in answer to the other’s actions. But the North has opposed moving quickly to disarm before any concessions are offered. North Korea is thought to possess 20 to 80 nuclear weapons. It also has nuclear research centers; some are known to international experts, but others are secret. FILE - North Korean leader Kim Jong Un provides guidance on a nuclear weapons program in this undated photo released by North Korea's Korean Central News Agency (KCNA) in Pyongyang, Sept. 3, 2017. In addition, the country has thousands of long-distance missiles. A recent study found that the U.S. goal of completely ending North Korea’s nuclear program could cost as much as $20 billion. Kwon Hyuk-chul, a professor of security strategy at Kookmin University in Seoul, helped carry out the study. Kwon based his estimate on earlier nuclear deals with the North. He also studied Ukraine’s experience when disarming its nuclear weapons after the collapse of the Soviet Union. He noted that the U.S. government provided containers and technical support for the effort. The Kookmin University study estimated that dismantling North Korea’s nuclear weapons and supporting centers would cost $5 billion. Another $5 billion, Kwon said, would be needed to act on a U.S. promise to build two nuclear reactors for electricity. The reactors were part of a 1994 nuclear agreement. The study found that another $10 billion in aid would be needed to help build the North Korean economy and to move up to 10,000 nuclear workers to peacetime activities. Trump has said he does not expect the U.S. government to provide aid to North Korea. But Trump said he would offer private American investment to the North if it gives up nuclear weapons. He added that North Korea should look to South Korea and China for any direct economic aid. A recent Stanford University report gave a time estimate for the nuclear disarmament process. It said it could take over 10 years for the North to permanently dismantle its nuclear weapons. Brian Padden reported this story for VOA News and Lee Yoon-jee contributed to it. Mario Ritter adapted their report for VOA Learning English. George Grow was the editor.